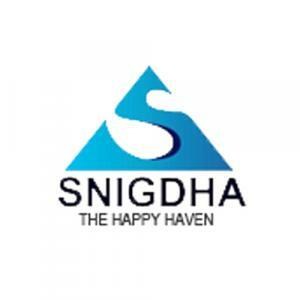 Sai Snigdha Eden Blossoms in Anjanapura, Bangalore by Sai Snigdha Constructions Pvt. Ltd.
By Sai Snigdha Constructions Pvt. Ltd.
1145.00 sqft. 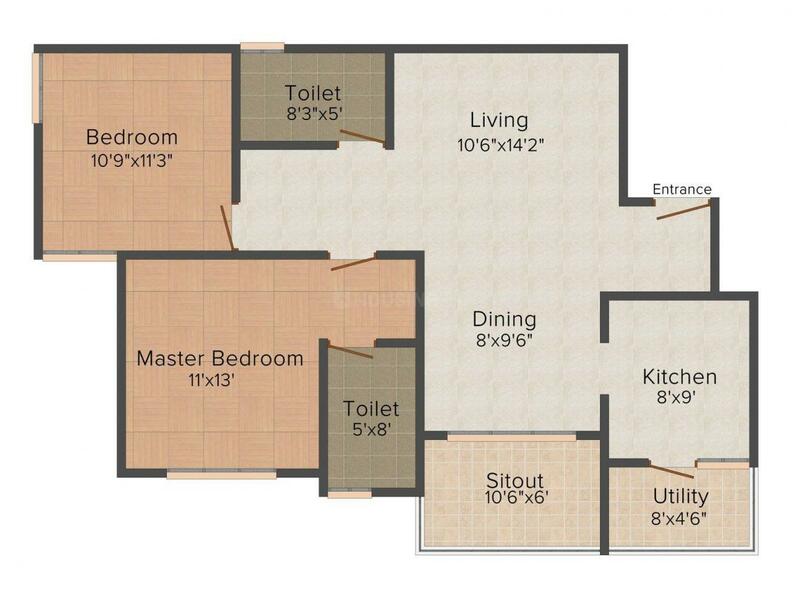 - 1155.00 sqft. Eden Blossoms is a perfect combination of luxury and comfort. 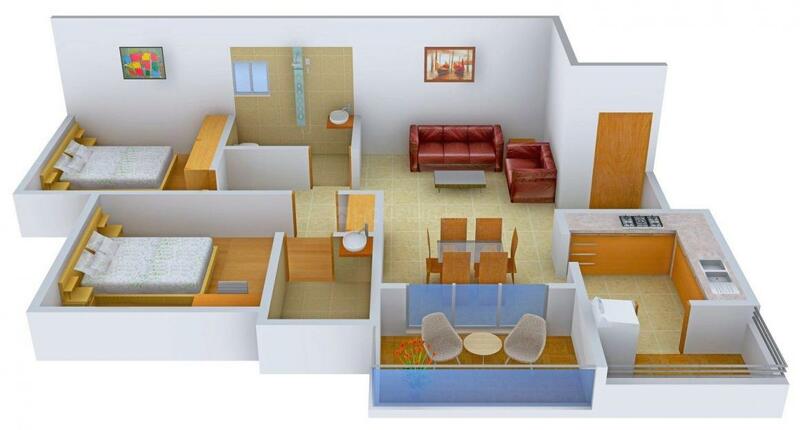 Extremely well planned flooring and highly spacious rooms enables space for every little activity. Privacy for every resident is ensured while there is adequate space for every family activity. Cross ventilation is just accurate and every corner experiences access of fresh breeze and natural sunlight. The innovative and elegant apartments enhance the aesthetic value and offer you with a feel of contemporary lifestyle. 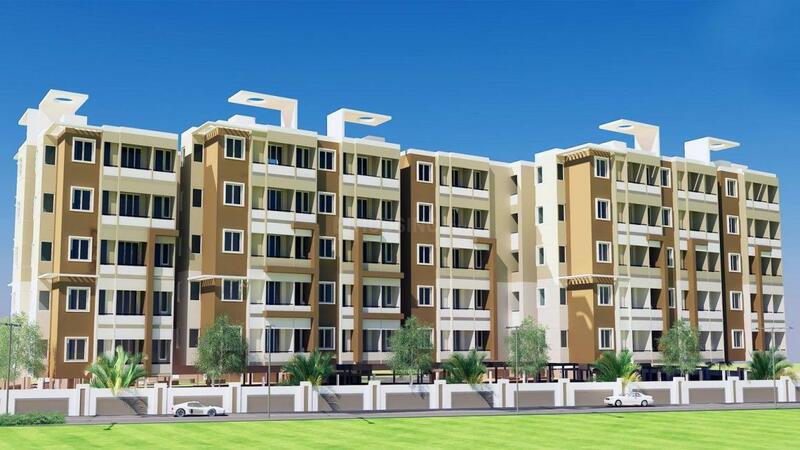 They are also equipped with all the basic amenities that will help to make your life convenient. Sai Snigdha Constructions Pvt. Ltd.
Sai Snigdha Constructions Pvt. Ltd. is a renowned specialized construction company based out of Bangalore, India. The hub of activity has enabled them to bring in new construction techniques with a wide range of their reputed architects, engineers and consultants, resulting in serene housing needs of their clients. Sai Snigdha Constructions Pvt. Ltd. with years of value construction experience stands for Quality, Meticulous Space design and uplifting living standards for their clients at affordable costs. At Sai Snigdha Constructions Pvt. Ltd., their engineers and architects have been trained to have quality checks at every construction stage. Quality is not a word here, it is a way of their activity, they believe a quality products always stands the test of time. From locating a project site, to even procurement of material, their engineers have test reports to decide and enhance. Their quality engineers are defined with an acute eye towards the detailing of a project. Every corner is supervised and every inch of construction activity is made to adhere to its specifications. Quality of a project starts from the drawing board till the handout is done, they make sure every process is in detail with specifications and design.